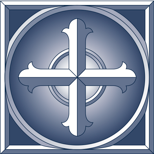 Coram Deo Academy is an accredited, interdenominational, private school serving Christian families at three locations in the DFW metroplex. We strive to train the next generation of ethical servant-leaders and wise thinkers who will shape culture for the glory of God. 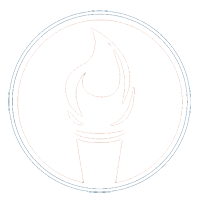 The Vision of Coram Deo Academy from Coram Deo Academy on Vimeo. 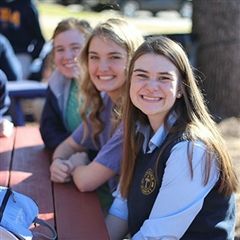 Coram Deo Academy is one of the most affordable private schools in DFW. At the same time, due to it's collaborative model and excellent teachers, students receive a top-notch education. 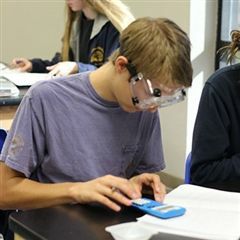 Students at CDA outpace the national and state averages for SAT and ACT scores. For the Class of 2017 the average SAT (CR+Math) score was 1237 and the ACT average was a composite score of 27.5. Coram Deo Academy offers 14 different sports with teams at various levels. 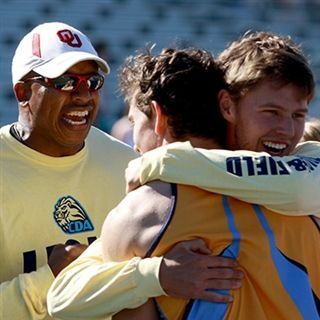 You will find an environment that encourages growth and excellence in skills and performance, and more importantly, development of character and integrity in a supportive environment with like-minded students and coaches who support parental authority. The average class size at Coram Deo Academy is 13 students. Coupled with our collaborative approach, our students get a lot of individual attention. 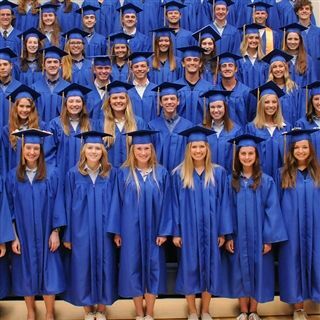 The class of 2018 had 68 graduates including 3 National Merit Commended students and 1 Hispanic Scholar. Five students accepted full tuition scholarships while 18 students were offered scholarships of at least $100,000. Thirty students were offered Presidential or Chancellor Scholarships. This class was offered over $9,400,000 in scholarships. 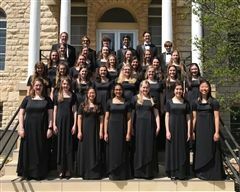 The top choir from our Flower Mound campus, Electus Vox, was joined by Collin County’s Arte Cantare to compete in the TPSMEA State Solo and Ensemble Competition as well as the State Concert and Sight Reading Competition. 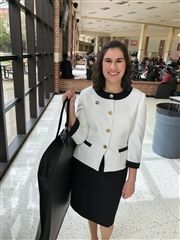 Sophomore Madeline Belknap was in the top 36 quarterfinalists in Informative Speaking at last weekend's Texas Forensic Association State Speech tournament held at Alief Taylor High School in Houston. 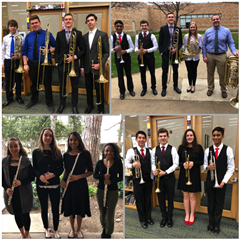 On Thursday and Friday, February 22-23, 41 Flower Mound and Collin County CDA band students participated in the TPSMEA All Region Honor Band Clinic and Concert. Congratulations to the CDA Symphonic Band! We had 28 soloists and 13 small ensembles make a superior rating, which is the highest rating. In addition, we had 23 soloists and all 13 of our small ensembles from Flower Mound and Collin County advance to State Solo and Ensemble Competition! 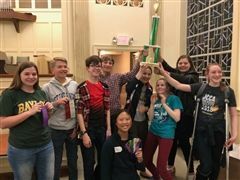 "Many of our students played difficult selections and really challenged themselves."Mrs. Bowen and Mrs. Clement are so proud of everyone who participated. 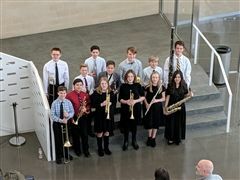 On Saturday February 23rd, nine CDA students attended the Area C Convention for the Texas State Junior Classical League at Baylor University in Waco. 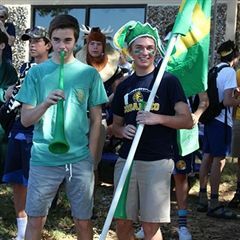 The competition was very stiff with almost 1000 students from both public and private schools stretching from the Oklahoma border all the way to Waco. Parents of prospective students learn about CDA's mission, methodology, and admissions process. Hosted on the Dallas Campus but open to families inquiring about any CDA location. Reservations are encouraged. Families inquiring about future enrollment tour the Flower Mound Campus and learn about CDA's mission, methodology, and admissions process. Reservations are encouraged. Welcome new CDA families! 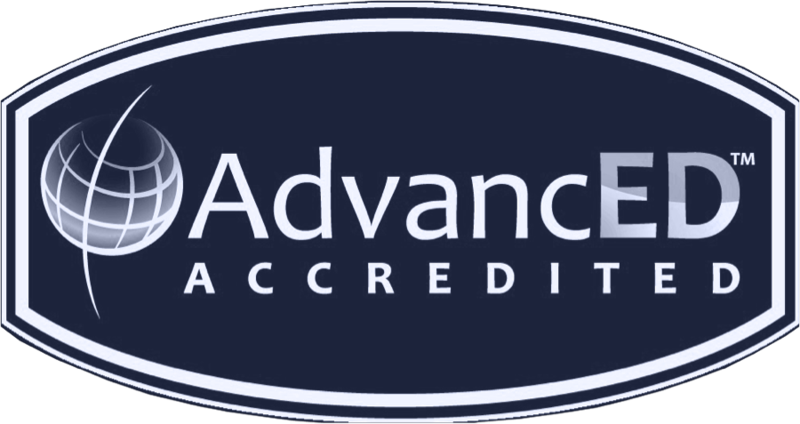 We are eager to help you and your child prepare for a smooth start next August. If you are a first-time enrolling parent at the Dallas Campus, please join us for refreshments, fellowship, and lots of great information! CDA is a great value---every penny is spent wisely training future servant leaders. I am getting a second education through my kids! As I'm reading Story of the World, history cards, and the literature books, I am learning things I never learned in public school and college. I love working at CDA, being in a community that tries to live as Christ would want them to...I love helping my students and hoping they will see Christ in me. We see the overall big vision of the CDA model. Our daughter was more than adequately prepared for college in all aspects: academically, emotionally & spiritually. God is doing great and mighty things, and CDA prepared me so well. Thank you so much. My teachers make the subjects so interesting, I forget I'm learning! I love how the school has instilled critical thinking skills in a Christian setting. Our students have a deeper faith as well because of how their education is tied into God's perfect design. I like the opportunity to learn in a Christ centered environment with teachers that challenge me to grow.